I love the rainbow prompts. I can use as many colors as I want! However, I never actually use traditional “rainbow” colors. I don’t think the colors work well together…at all! I know, I know, I’m super weird!! Anyways, I hope you like today’s abstract, distressed look! I started with 3 coats of American Apparel Parakeet as my base. I used a paintbrush, acetone, Pahlish Le Bijou de Roi, Sally Hansen Miracle Gel Hunger Flames, Girly Bits Supersonic, and Color Club Pucci-licious. 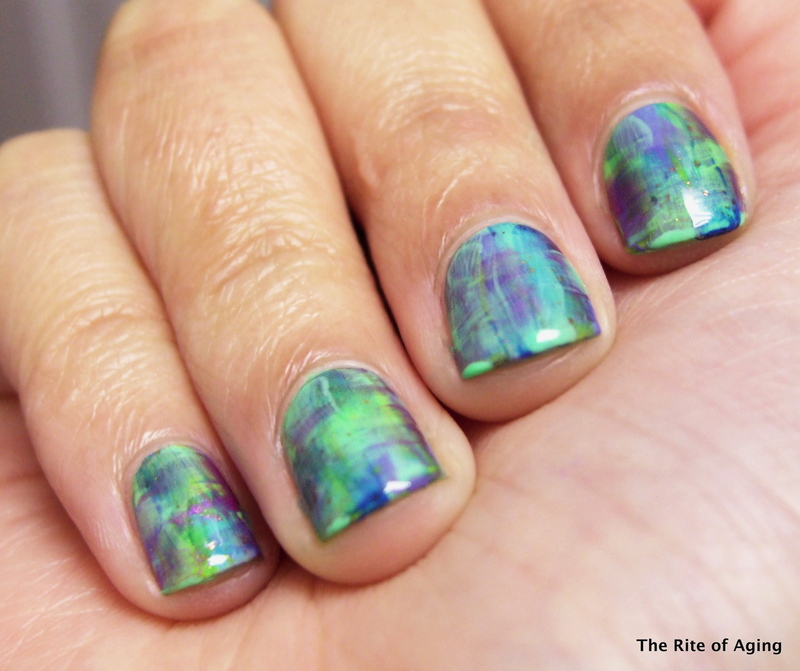 Check out the other rainbow manicures below! This reminds me of a painting I’ve seen, it looks so beautiful!